The NHS provides most healthcare and healthcare services free of charge to UK residents, but there are some exceptions. GPs themselves have to cover operational and running costs – equipment, insurance, staff etc. Therefore, professional fees charged must reflect a contribution to these costs as well as professional time. Individual practices decide how much to charge for non-NHS services. There are no standard charges and ‘price fixing’ between practices is not allowed. What can be charged for? We can usually inform you of the likely charge when you ask for the paperwork to be completed. Bank Street Medical Group may be willing to provide some non-NHS services for patients registered with other practices – please ask to speak to Angela Inglis, Practice Manager. Why do I pay for ‘just’ a signature? A doctor can only sign what they know to be true. The production of an inaccurate report can have serious consequences for the doctor with the General Medical Council (GMC) or even the Police. 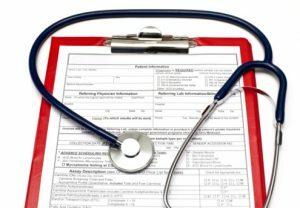 It often takes a considerable time to read through and check medical records, to answer all the questions raised. Some documents do not need a doctor’s signature. Another person in a position of trust might not charge to sign such documents. Please do not ask your doctor for a medical report to support your claim/appeal for welfare benefits as we will not be able to supply this free of charge. Please contact Job Centre Plus or the Appeals Service, stating clearly your reasons for believing that a medical report is necessary. If Job Centre Plus or the Appeals Service consider that further medical evidence is necessary to support your claim or appeal, they will seek it. They will then be responsible for paying any fee to the doctor providing the report. Fees charged may be subject to change. The list above is not exhaustive; please contact reception for specific enquirer relating to charges for NHS services.